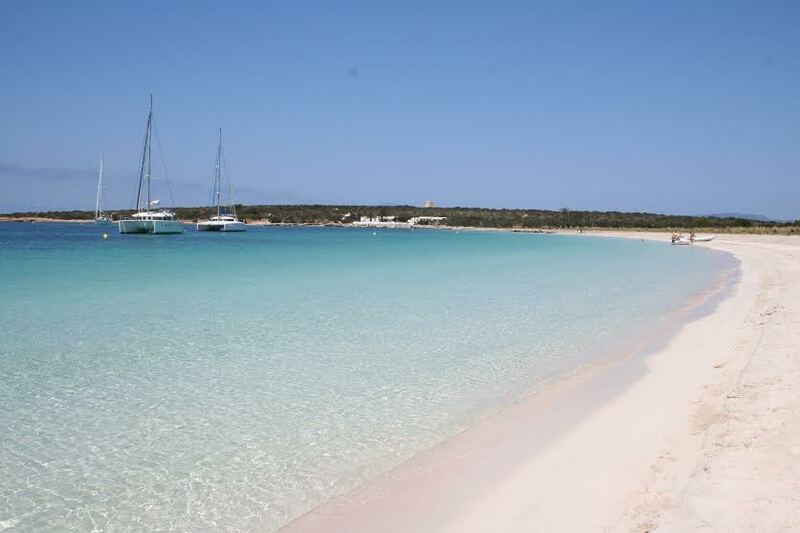 All the beaches in Formentera are incredible, and Migjorn (where Can Tres Formentera is located) is not be the exception. It is one of the longest beaches on the island, making it is easy to find a quiet spot for yourself. Migjorn offers white sand, crystal clear water and tranquility. It is without a doubt one of the most authentic places within the island. 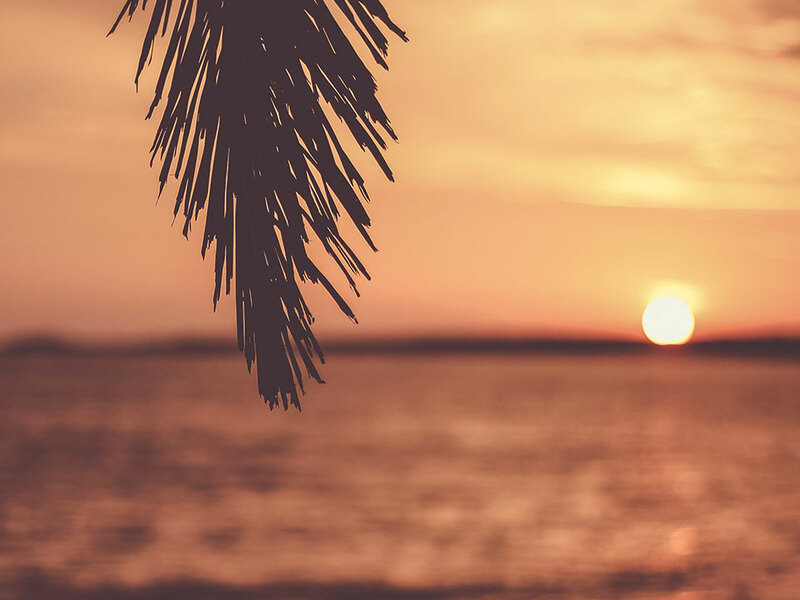 An authentic kiosk, far from luxurious, located on the rocks of Migjorn, offers incredible mojitos, a great crowd and unbelievable sunsets. 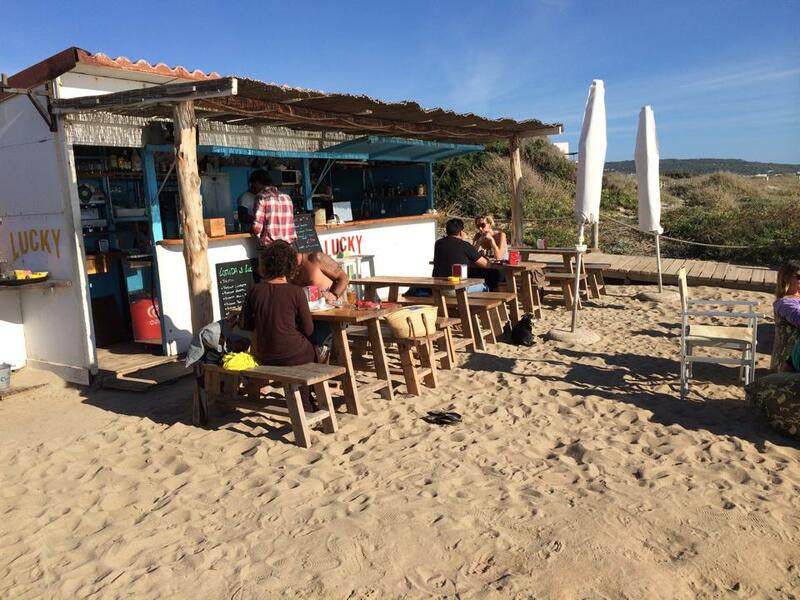 The perfect place to grab a drink with your loved one or with a group of friends; Pirata Bus is definitely one of the best beach bars on the island of Formentera (at Migjorn beach). Did you bring sneakers? Go for a hike on the path of Sa Pujada. It will take you approximately one hour (round trip); there will be breathtaking views all the way. The road goes along the coast from the viewpoint located on the top hill of La Mola and Es caló. You can see the exact route by clicking on this link. 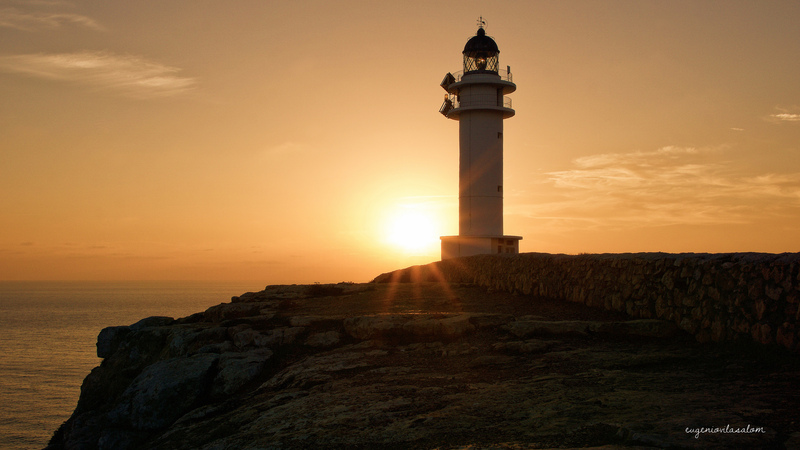 Formentera has 3 lighthouses, the Savina, Pilar de la Mola and Cap de Barbaria, however the most famous and impressive is the Cap de Barbaria Lighthouse; make your way there to catch the sunset, it is one of the most impressive sunsets in Formentera. At Cap de Barbaria there is a small cave 50 meters away that is worth checking out (there is a staircase to go inside). 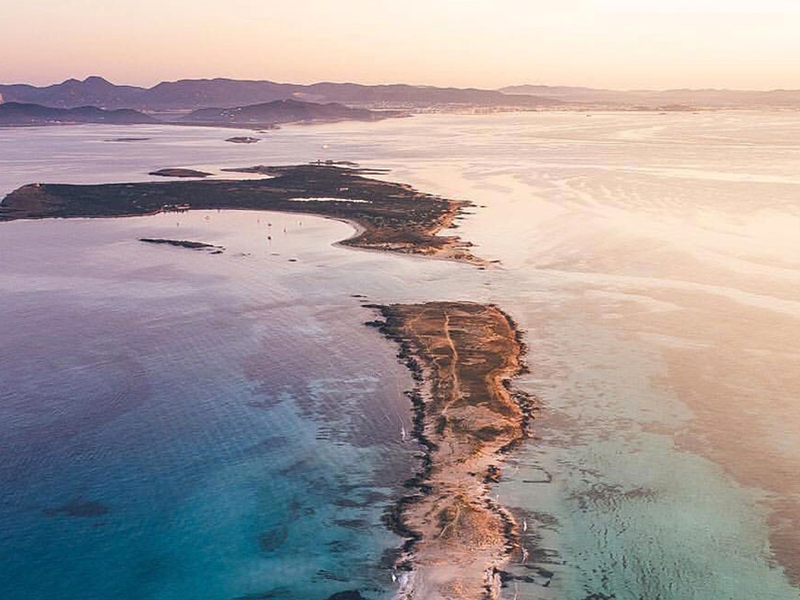 Espalmador Island is right next to Illetes beach, they are almost interconnected but a short and shallow canal connects them (it can be crossed without even having to swim). Another way to reach the island is from La Savina, the Bahia boat offers three daily trips, click here for further information. 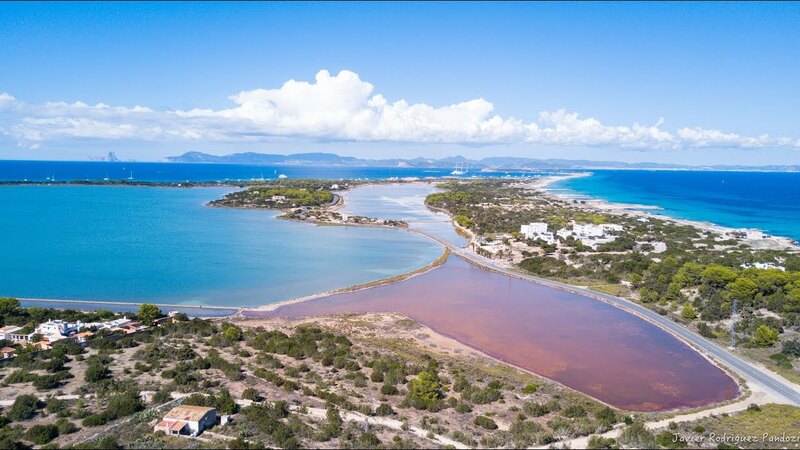 Espalmador is also well known for its mud baths, for its deserted white sand beaches and its crystal clear waters. Departures from La Savina: 10:15, 11:15, 13:45. 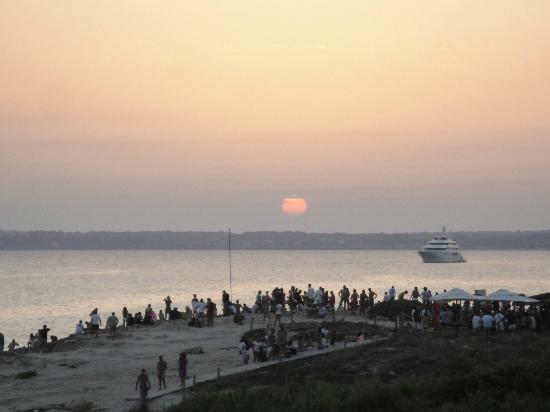 Spend your morning in the picturesque and traditional fishing village of Es Caló. It has three small but very charming coves surrounded by turquoise water. 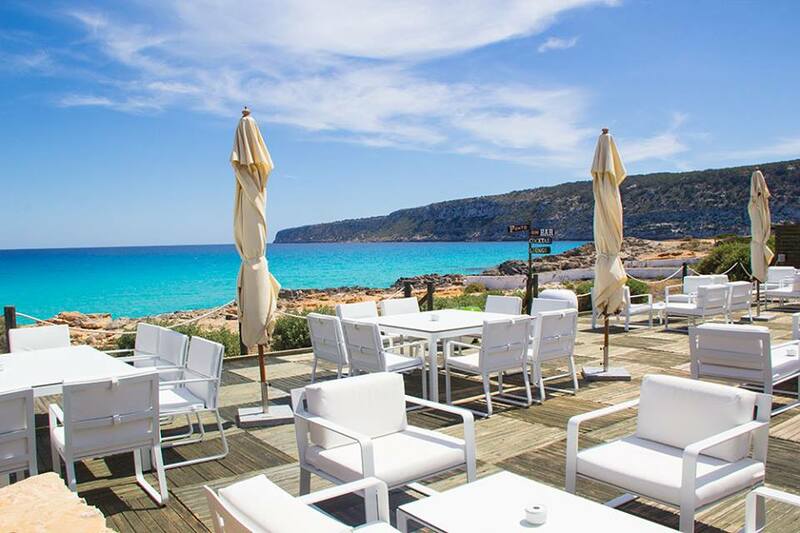 In the summer season, booking in advance at Es Caló Restaurant is highly recommended. At this traditional restaurant, you can enjoy seafood paella, fresh fish of the day among other dishes. Average price: 50 euros / person. Renting a bicycle is not the ideal means of transportation to explore the entire island, especially in the summer season. 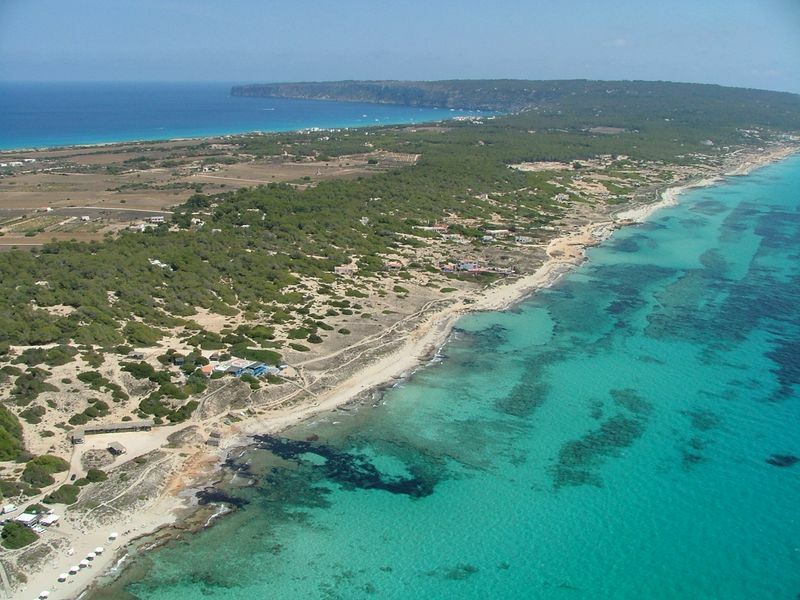 However, it is perfect if you just want to explore some areas of Formentera. The island has 19 green biking routes overall, but we always recommend visiting Illetas, Salinas and ending at Es Pujols. 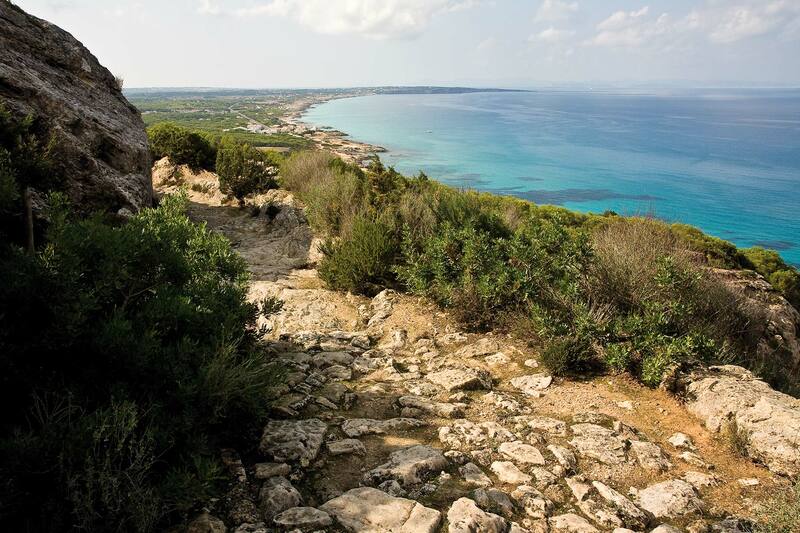 From La Savina it’s approximately 7-8 km walk. If you’d like to rent a bike click here. Located in a natural reserve at La Mola, the access is a little tricky since you’ll need to go through dirt roads but it’s definitely worth a visit. Once you arrive, you’ll find a small cove sheltered by rocky terrain. We recommend going early in the morning to enjoy the quietness of the still water and to fully indulge the intimate setting offered by this little piece of paradise. 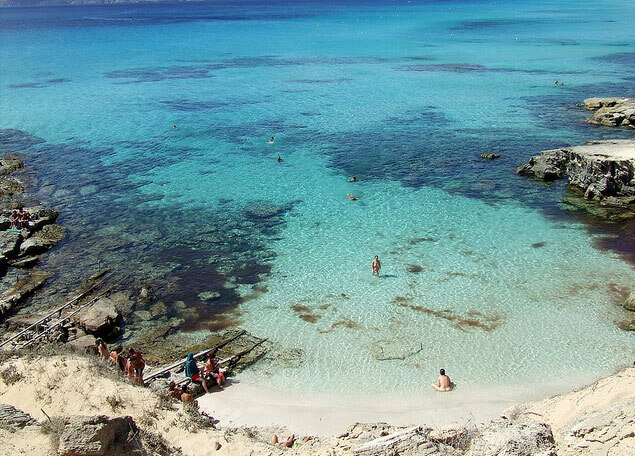 If you enjoy snorkeling we recommend going to the area of ​​Es Ram, which is just east of Es Calo Des Mort. You will not be disappointed. 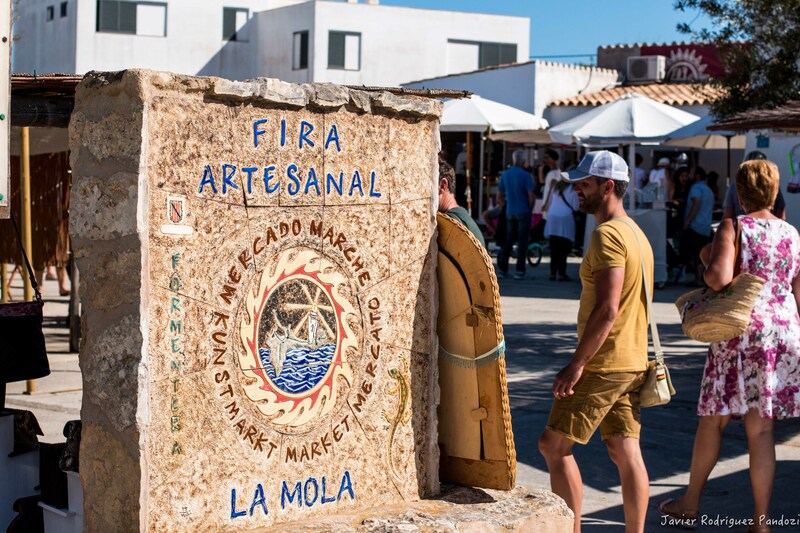 If you come to Formentera you cannot leave without having visited La Mola’s Handicraft Market . It opened its doors for the first time in 1984 and still manages to preserve the hippie spirit of the 70s. It is a meeting point for the best artisans on the island, where you can find high quality products and original designs made in traditional ways with materials such as silver, glass, ceramic, stone and shell. When: From May to October, every Wednesday and Sunday from 16h to 22h.